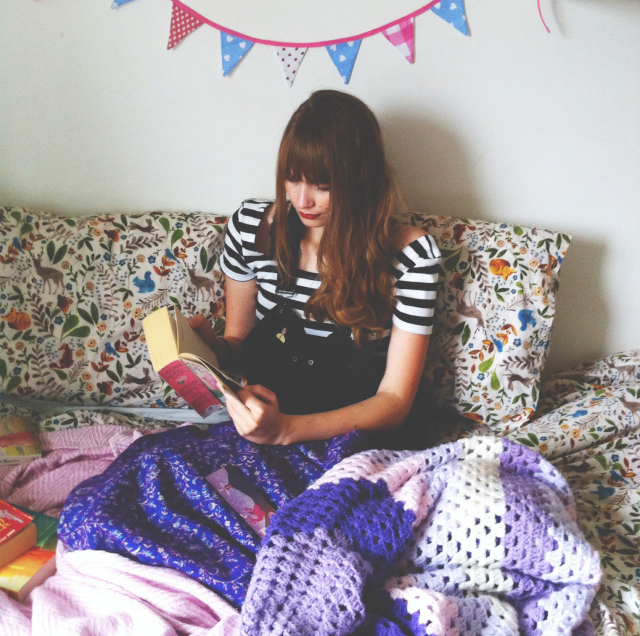 I'm back with the 'Try A Chapter' book tag that was created by Malia over at Book Paradise. The premise is to pick a selection of books that you have been meaning to read, read up to the second chapter of each and then use that experience to determine which of them you'd either like to read next or set aside for a later date. I love that this tag encourages you to dedicate time to books that you have been meaning to read for a while as I have a ton of reads that I'm always saying 'soon' to. At the centre of Special Topics in Calamity Physics is clever, deadpan Blue Van Meer, who has a head full of literary, philosophical, scientific, and cinematic knowledge, but she could use some friends. Upon entering the elite St. Gallway School, she finds some -- a clique of eccentrics known as the Bluebloods. One drowning and one hanging later, Blue finds herself puzzling out a byzantine murder mystery. This was the heftiest first chapter at 40 pages but, thankfully, it delivered quite a lot in the way of introduction by introducing a handful of characters and the crumbling Hundreds Hall. I am all for stories of big houses and decayed aristocracy so I've a feeling that this will totally be my bag. Luckily, Waters' writing style is something I'm entirely on board with already. Descriptive, and packed full of realistic dialogue, it was reminiscent of my bae Du Maurier. I could definitely carry it on from here. However, I'm thinking that, due to the length, I may, again, save it for when I'm recovering from surgery as I will have time on my hands. Northern California, during the violent end of the 1960s. At the start of summer, a lonely and thoughtful teenager, Evie Boyd, sees a group of girls in the park, and is immediately caught by their freedom [...] Soon, Evie is in thrall to Suzanne, a mesmerizing older girl, and is drawn into the circle of a soon-to-be infamous cult and the man who is its charismatic leader [...] As she spends more time away from her mother and the rhythms of her daily life, and as her obsession with Suzanne intensifies, Evie does not realise she is coming closer and closer to unthinkable violence, and to that moment in a girl's life when everything can go horribly wrong. This has made its way to the top of my TBR pile. I wish it was of mass market paperback size though for convenience! Du Maurier consistently draws me in hook, line and sinker. Frenchman's Creek has, so far, been a celebration of the moody moonlight and the shadows amongst the trees that are to be found on the Helford coast. The promise of grown up Famous Five-like adventure, involving pirates, is so exciting to me especially as I have read two of her other novels, Jamaica Inn and Rebecca, and fell head over heels for them. The same dark resonance that cloaks those stories seems to be present in this too, one of her later novels, and I'm looking forward to a restless reading experience. I may read this first as, lets face it, I will probably read it quickly and with ease. Also, I cannot resist a bit of Du Maurier. If you have yet to read any Du Maurier, pick up Rebecca and thank me later. All in all, I'm hailing this experiment a success! 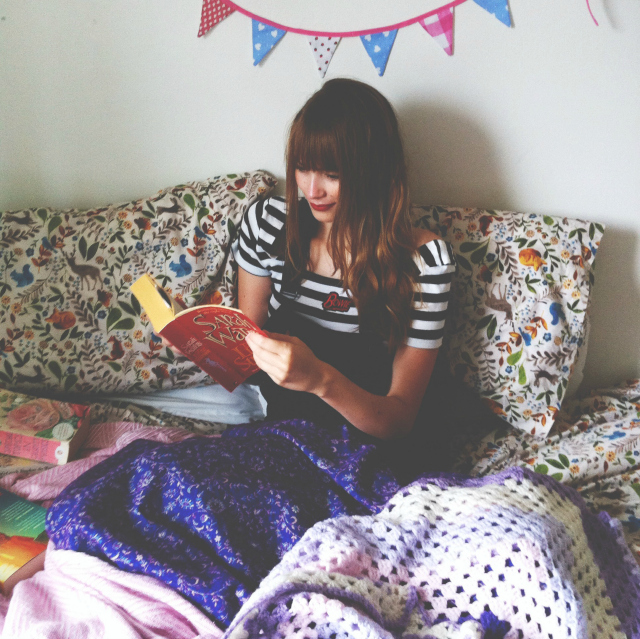 It has affirmed that I have at least 4 unread books on my shelves that I could quite possibly fall head over heels for. I've had a little think and I've decided to carry on with The Little Stranger because I quite fancy a longer read and I've been wanting to try out some Sarah Waters for years now. I'd be more than happy to read any of the others though. Thoroughly impressed! I think, if I were to do this again, and do let me know if you'd like me to, I would maybe pick four books on my shelves that I wasn't entirely sure about in order to get a sense of whether or not they really were for me. I've tagged a few specific people below but I'm also tagging you. Message me if you decide to participate! 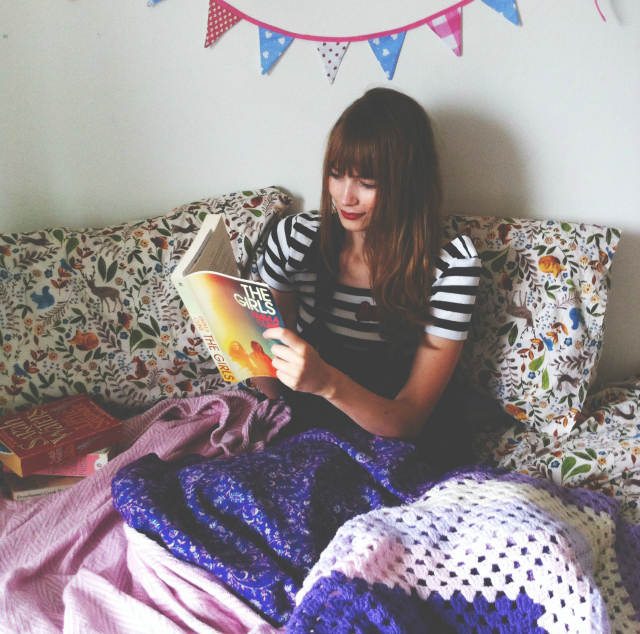 Will you be giving this bookish experiment a go? Would you like me to do some more of these challenges? I read The Girls and I could not put it down for even one second, I absolutely loved it. 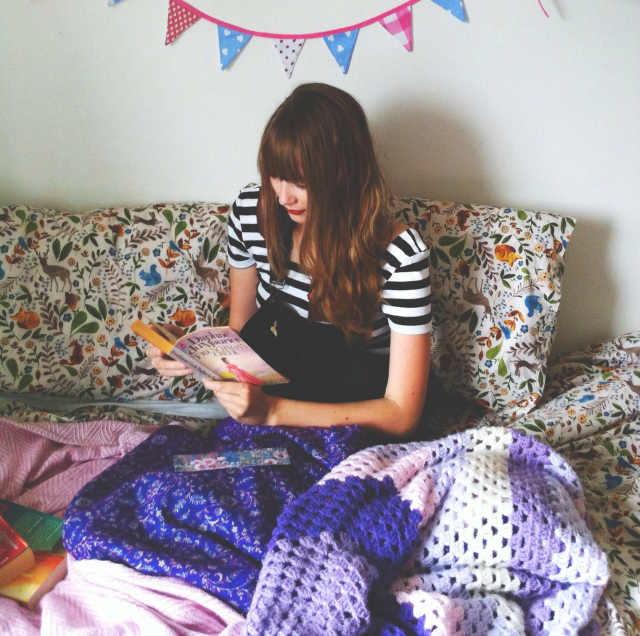 Lovely post - I sadly haven't read any of these books but I definitely want to now!! I love this idea. I'll definitely be doing this! 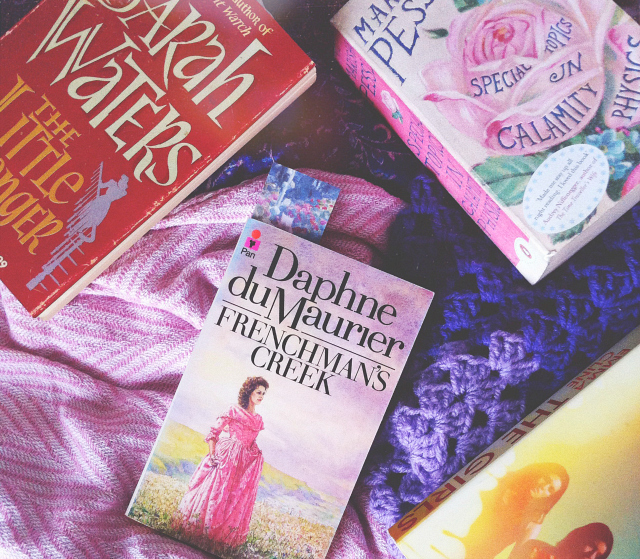 I just read The Birds and Other Stories last month, my first du Maurier, and I'm really keen to read Rebecca next but I think I might have to pick up a copy of Frenchman's Creek now too! Love this idea! Once you read one chapter, you just have to read it all!